The Perron C. Jarboe Championship is an annual competition of the New England Senior Golfers’ Association. It is one of the oldest senior championships that has been played continuously since 1932. The tournament is contested over two 18-hole rounds, one at Woodland Golf Club and one at Brae Burn Country Club. The winner is the low gross score for 36 holes. In the case of a tie, a playoff will be held at Brae Burn Country Club. The Paul J. Carey Championship represents the low net 36 hole score. In the case of a tie, the winner will be determined by a matching of cards subject to USGA rules. The President’s Trophy is unique to the New England Senior Golfers’ Association. It is awarded to the player over age 70 whose best round is best in relation to his age. Other prizes will be awarded for low gross and net foursome on each course both days. Tee times will be assigned for both courses on both days from approximately 8:00 a.m. through 2:00 p.m. according to the Tournament Committee’s recommendation and player request. Entry fee is $260.00 which includes one round of golf each day, range and continental breakfast or $335.00 with dinner Monday night at Brae Burn. Participants will pay for their carts in the respective pro shops. Registration can be completed online at www.nesga.org or by contacting the NESGA office on or after 5/1/17. In the event a member or a guest of a member would like to cancel their entry in an NESGA tournament due to any, and all circumstances after they have completed their registration for the tournament, his entry fee and any associated payments will be held until all financial obligations made on behalf of the NESGA and its members are paid. Financial obligations include, but are not limited to, credit card fees and unrecoverable costs. Unrecoverable costs will include scheduled green fees, carts, range fees, prizes, food and beverage commitments as well as a share of the cost of running the tournament. After all obligations are met and paid for the NESGA will issue a refund. The NESGA will make every effort to mitigate the costs that reduce a member’s refund. If a tournament is cancelled due to course closure or other extenuating circumstances, all registered members will be entitled to a refund minus unrecoverable costs. Again, the NESGA will make every effort to mitigate the costs that reduce a member’s refund. The Barrett C. Nichols Memorial Tournament format is a best two balls of four net aggregate. Champions will be awarded the Barrett C. Nichols Bowl. In the event of a tie, winners will be determined by a matching of cards subject to USGA rules. Prizes will also be awarded for the team with the lowest gross score and for the next three low net scores. USGA rules apply and participants will be advised of any local rules. A team captain shall keep the card and upon completion of play, sign and turn it into the scoring table for confirmation and final posting. Play will begin with a shotgun start at 12:00 p.m. The tournament fee is $215.00 and includes golf, cart, range and food upon completion of play. Registration can be completed online at www.nesga.org or by contacting the NESGA office. The Clifton C. Larson Memorial Tournament is an individual quota tournament. Scoring will be 6 points for eagle, 4 points for birdie, 2 points for par, 1 point for bogey, 0 points for double bogey and above. A player’s quota is determined by subtracting their handicap from 36. Example: a 15 handicap has a quota of 21. The winner will be the participant with the highest quota point total. A minimum of 4 quota points is necessary to be eligible for prizes. The winner will be awarded the Larson Trophy. Additional prizes will be awarded for overall runner-up and winners and runners-up of each class. Play will commence at 12:00 p.m. with a shotgun start. The entry fee is $200.00 and includes golf, cart, range and food at the completion of play. Registration will take place online at www.nesga.org or by contacting the NESGA office. The W. Royce Taylor Tournament is a better ball of two net format. The winning team will be awarded the W. Royce Taylor Bowl. In the event of a tie, the winners will be determined by matching scorecards according to USGA rules. Prizes will also be awarded to the runners-up and the next five places. A low gross and low gross runner-up prize will also be awarded. Play will begin at 1:00 p.m. with a shotgun start. The tournament fee is $185.00 and includes golf, cart, range and food after the completion of play. Registration can be completed online at www.nesga.org or by contacting the NESGA office. The Coakley-Stimets will be a best two balls of the foursome event with net and gross champions. Each team will play one round at each course. Daily prizes will be awarded for low net and low gross team scores. Handicaps will be set at 80% of the player’s index as of the latest handicap revision prior to play. All USGA rules apply in addition to any local rules of which players will be made aware before the start of play. Shot gun starts will begin at 12:30 p.m. on the 10th at Oyster Harbors Club and 9:00 a.m. on the 11th at the Wianno Club. The tournament fee is $355 per player and includes one round of golf each day, carts, range and a cocktail party held at the Oyster Harbors clubhouse on the evening of the 10th. Registration is available online at www.nesga.org or by contacting the NESGA office. In 1918, Wayne Stiles and John Van Kleek were commissioned to build a golf course on the Boothbay Peninsula by a group of wealthy Boston businessmen to help with tourism to the beautiful coastal town. Boothbay Region Country Club opened its first 9 holes in 1921. Playing the course immediately became a favorite pastime for the vacationers to the area. 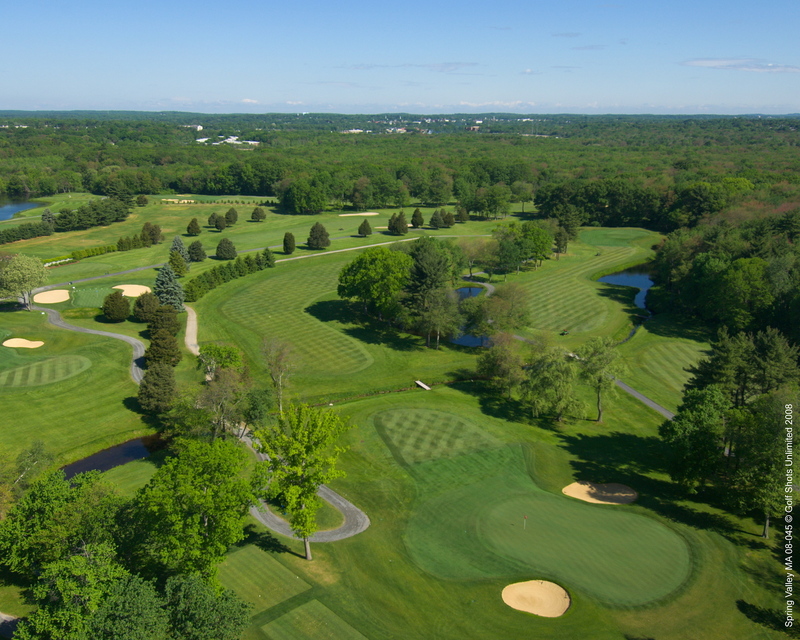 The 9-hole gem designed by Stiles and Van Kleek expanded to 18 holes in 1999 and has recently gone through a complete redesign by renowned course architect Bruce Hepner as part of a multi-million dollar renovation by new owner Paul Coulombe. Completed and re-opened in May of 2016, the Boothbay Harbor Country Club is a world-class facility, housing a 5-star restaurant, sports bar and grille, outdoor heated seating with fire pit, a proshop, and luxury locker rooms. The Barrett C. Nichols Memorial Tournament format is a best two balls of four net aggregate. In the event of a tie, winners will be determined by a matching of cards subject to USGA rules. A 1911 Donald Ross Design located in Barrington, Rhode Island. 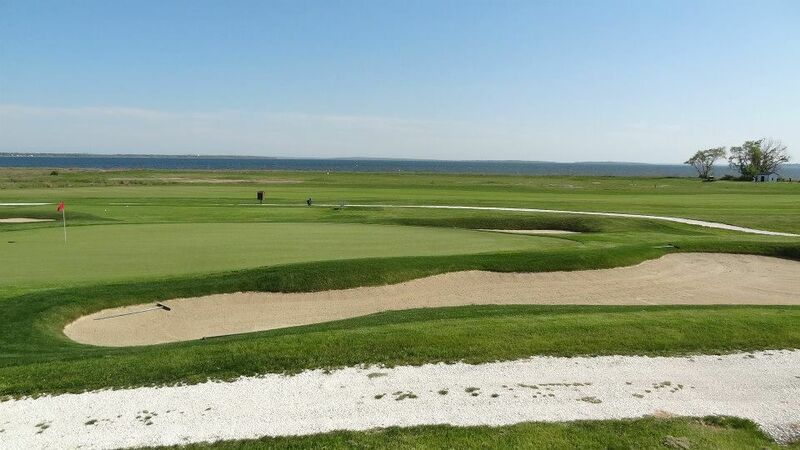 The course is a combination of parkland, wooded and seaside holes, with the final four holes located on beautiful Narragansett Bay. RICC offers magnificent views of the Bay and its islands, which are connected by three towering suspension bridges. Consistently ranked as a top classic golf course, it has hosted four USGA championships and is home of the CVS Charity Classic. The Cape Club of Sharon features an 18-hole championship golf course, originally designed by Geoffrey Cornish in 1959. In 2006, the course underwent an extensive renovation led by renowned course architect Craig Schreiner whose work includes notable courses such as Oak Hill Country Club in New York, Firestone Country Club in Ohio, and Oakland Hills Country Club in Michigan. This renovation included a redesign of the green complexes and greenside bunkering, improved drainage, 20 new tee boxes and an advanced irrigation system. The course now offers some of the finest and most challenging playing conditions in New England.